Being assured, by archaeologists for the existence of 29 settlements of the Paleolithic era (250,000–9,000), 17 settlements of the Neolithic era (9,000–2,800) and 18 settlements of the Copper era, in the archipelago of Corfu, this is something that one can not handle. What is left? Either the total denial of archaeological findings or the thorough study of all ancient objects in order to find clues that will verify the archeaologists. According to archaeological findings, the island complex of Corfu – Paxoi with tenths of islands and reefs, is the largest archaeological park in life on the Planet. Within the limited boundaries of this note I will use some clues so as to clarify elements presented by the archaeological map of Corfu. My sources are the immortal epics of our national poet Homer, the Argonautics, all the information provided by the tragedians and off course all the hellenic literature. We have started our research from scratch. If you start from the facts that Homer is blind, has no clue about geography, is frivolous and general illiterate, how you will be able to discriminate the high theological opinions he expresses, when he plays but on the same time teaches, with the word “utis”(ούτις) (no body–no one); How will you discriminate his geographical knowledge if you ignore the geological map of his era? Since the Flegreon field (which the reference point of the clash of the Titans ) is today 60 fathoms under the sea level? How will you clearly discriminate the eras they refer to, when both Homer and Orpheas use the same heroes? I am referring specifically to Achilles, the greatest of all heroes, who has a great place among both of the poets. How will you be able to discriminate the initial land names from the subsequent ones? This moment we do not care when Homer recited or lived, but the era to which the events he describes referred to. Homer is not a theologist, or occultist, on the contrary he satirized the religion by ridiculing the gods. He did the same thing to his heroes. It must be realized that both poems of this extraordinary poet are extremely educational satires, which unfortunately not only were not comprehended but also misunderstood by his successors. What we know from Homeric events are legends duo to various distortions they suffered per millennia by several authors and from the original documents of the poet. How it is possible for someone to claim that this was written by Homer when he ignores the original documents of Homer? Studying line by line the poet someone will find out that in his documents it is mentioned that Acheoi were not aware of the way to Troy and they could only reach it after the intervention of oracle Kalcha! What about the “things we know” about Aulis and the sacrifice of Iphigenia? None of these is described in Iliad. What is most striking is that Agamemnon himself confess, and latter on is repeated by Ullyses, that he had no daughter named Ifigeneia! What is wrong here? What is the essence that the divine poet is depicting with exceptional mastery in his lyrics? On the event of a family “quarrel”, as he reports, between clans of his era, he delivers us with and ethical and educational work, an inspirational source of ethical restoration of the people of his era, and not only. The effort of Homer is to demolish the moral decay of the leading class, which with the support of father Zeus, had claimed the powers of all clans. It is worth studying the attitude of Zeus against his siblings and cousins the Titans, who in order to maintain leadership he did everything. After Zeus, seized power he was attacked multiple times so as to be overthrown. There are many episodes depicting exactly this, but no one has paid any attention to them. Titans were the first who dared to defy him, among them Efialtis, but all were murdered by Zeus. Then his children, Aloea, Otos and Efialtis, appear in the pantheon to overthrow Zeus, but they also fail. The third time the name Efialtis appears, is found in historical era with positive results. The imaginary representatives of Zeus, the oligarchs lose power at 462 b.C. This time the name Efialtis is bonded with the overthrow of oligarchs, removing power from the rich noblemen and delivering it to the people of Athens. 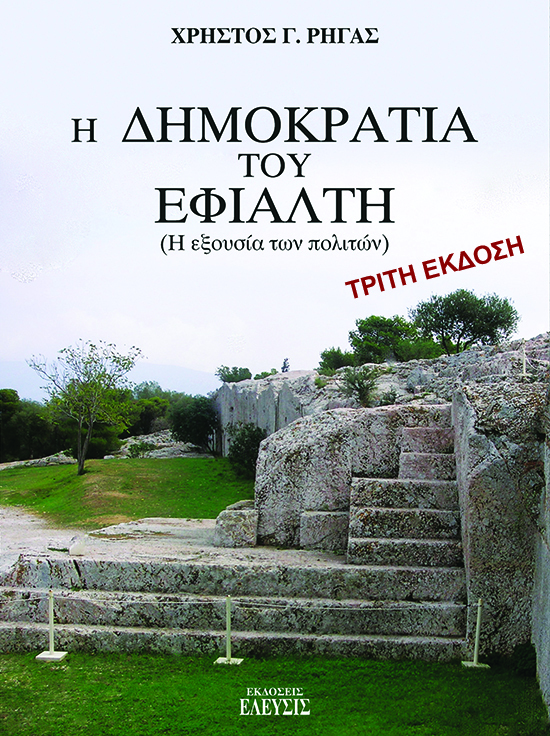 It is the famous installation and operation of the democratic polity in Athens. During democratic polity the city state is self-governed and self-regulated by the citizens. The lost tragedy of the oligarch Sofoklis, “Aloades”, a very small part that was saved by Stovaios, is an attack towards the democrat Efialtis and democracy writing the following socking words: I do not know what to say, the poor are ruling the brave! Which state can accept this? The democratic polity lasted 140 years. In the year 322 b.C. Oligarchs supported by Atnigonos, demolished the democratic polity which was bounded to be the symbol of all people. The same year, people of Athens was either exiled or murdered from the enemies of Democracy the oligarchs. There is an important detail: the name Efialtis, should be made a synonym of treason, that is why in later years it was fabricated by historian of aristocratic origins the traitor of Thermopyle, Traxinios Efialtis. Thinking of the Homer's effort to demolish the power of the corrupted leading order of his era, we could easily understand the feelings of salvation that people felt on the face of the Athenean Efialtis - an effort that Homer started in his own way. It must be made aware that Athens, Attika was a colony of Corfu and Paxoi. The name of Attiki refers to the word Vlaxatika of Corfu and Paxoi. The word “Attika”, is almost synonym of the word “antika” which means the old the ancient. The flagship of the Athenian fleet was honorably named “Paralos”, a name that refers to the location of municipality of Paralion in Corfu, a name that exists even today. Let us have a look in the Argonautics. A beachfront location exists in NE Corfu with the name Agni. My friend and publisher, sadly noted that Kassiopi is famous due to the visit of the Roman emperor, whilst their area is devoid of such glory. I want to make my good friend realize that the name “Agni” has obtained its name from the Corfiat king Agneion (of the paleolithic era), whose son is Tifis. Tifis was appointed as captain of Argos. Keep in mind that the story of the Argonauts, with Jason and Medea is a pure naval story of Corfu. “So huge as Tiphon was, that he sfentonize lit rocks against the sky with whistles and growls... While Tiphon was away Zeus threw thunders on him, but when he came close and started hitting him with a steal broadsword, he run away and he hunted him to mount Kassio..” Book A, Chapter XI, 3. Another event neglected by scholars are the reports provided by Aeschylus in his tragedy “Prometheus bounded”. Let us have a closer look on what he is reporting. Prometheus is chaned by order of Zeus, by his cooperators Cratos and Via on mountain Kaukasos. Everyone is looking to find out where is this mountain, but whilst looking to the four cardinal points, we miss that mountain Pantokratoras has the name “Mount Kassion”. It is the mountain that Prometheus was chained, the famous mountain Kaukasos. The responsibility of Greek scholars is huge, instead of studying in depth and with respect the ancient documents delivered to us by our ancestors, which are in our language, they were content with what foreign scholars imposed to us and we accepted them...without any resistance... we should not blame history but ourselves since we show no respect to it and we were bad administrators of it. of Zeus, from those what pleased you? a monument of your path for all mortals. αφ’ ου παλιμπλάγκτοισι χειμάζη δρόμοις? Aeschylus evolves his story the same way as Homer does. He wants his work to be for ever. He combines old and new, he uses paleolithic geography, adding the modern Molossoi. He uses the ancient oracle of Dodoni, which was in the island of Paxoi with the modern one in Heppirus. He uses old geography thus creating a cloud of dust through which you can hardly tell the truth. That is the role of a poet after all, to transfer the truth to you caring not on how much you will understand but how much you will remember. Here Aeschylus is vindicated for his work in Prometheus, since it is alive event today. Read carefully the new Hellenic translation and you will see that I am right. A) where is the oracle of Dodoni? B) which is the coastal route that Io followed from Dodoni oracle to the gulf of Rea? C) where is gulf of Rea to which Io headed after Dodoni oracle? D) Where was Prometheus chained in order to the marine cove to which he refers, today called Ionian sea? The same all over again, Prometheuas, mount Kassion, Zeus, Thetis (the first priest and oracle of Dodoni). The most important events of hellenic mythology take place in our holy islands, in queen Corfu and the devine Paxoi. Instead of repeating continuously and monotonously, “it is a coincidence” or “it is a myth”, or was told by the English or German scholar, we studied with respect the ancient Hellenic documents, for sure we would have done something better for our beloved Corfu, the Crowned queen for 250,000 years. Is it a coincidence that the only surviving bust of Homer, that is now in Louvre museum, has also been found in Corfu? Is a coincidence that an empress build a palace to honor the Corfiat hero Achilles? Is it a coincidence that all conquerors care for the island of Corfu and not for the larger and wealthiest island of Cefalonia? Is it a coincidence that the island complex of New York, is a code of our own Orcad islands? An answer for modern xenomania is given 2,500 years ago by Pindaros (Pythia C 21) talking to people of his era: “there is a race of idiots, who despise their own and praise the foreign”. It does not take too much to understand after these few references I have made, due to limited space, my suspicions that the map of the 8th Ephorate of prehistoric and classical Antiquities is full of valuable material for whoever wants to study it, were correct. Closing my small note, I would like to shout with all the strength that I have, that I do not serve personal interests, I am not committed to anyone. I earn my living with other means, and recognition, as a moral reward for my work comes not from Corfu. Instead of attacking and doubt my work, please show sympathy and understanding to those who did not understood Corfiat and Hellenic history. Linguistics Athinagoras, Founding member of Hellenic Linguistic Heritage. 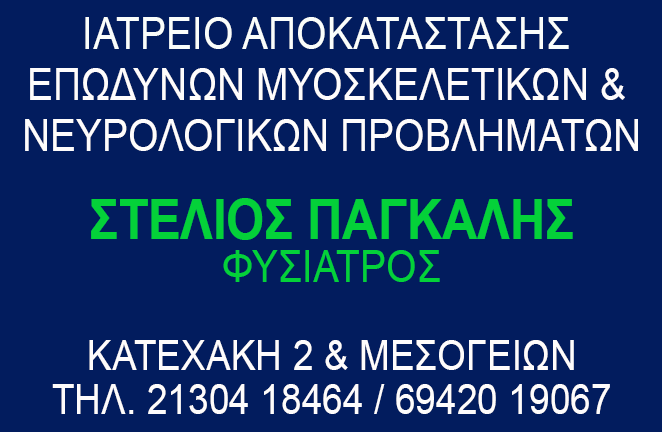 You can find our web page hellenicpaedia.gr with many interesting subjects.